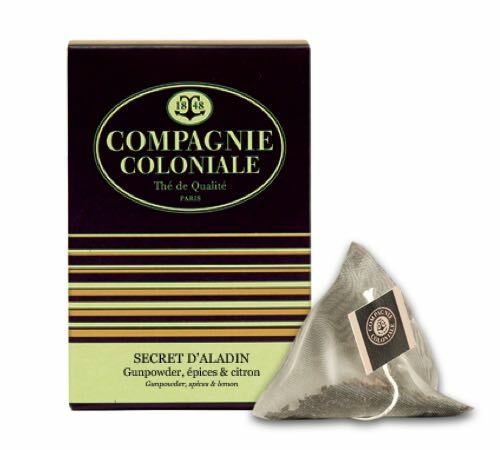 Box of 25 pyramid bags of Secret d'Aladin green tea by Compagnie Coloniale. This green tea will seduce you with its spicy and lemony notes. Rooibos from South Africa with flavours of passion fruit, vine peach, wild strawberries, fruit pieces and multicoloured cornflowers. 25 Cristal® sachets by Dammann Frères. For this herbal tea, the lime blossom used comes directly from the Carpentras region. Discover the Winter Earl Grey White Tea by Harney&Sons. 20 sachets in a metal tin. A white tea with natural lemon bergamot.